Although Berkeley is a mid-sized city, its reputation precedes itself: It’s known far and wide for its progressive politics and celebrated history of social justice. Berkeley has the advantage of being a homegrown college town with quick, easy access to the urban oasis of San Francisco. Students, locals, and visitors don’t have to leave the city, however, to enjoy cultural and culinary delights. If you wish to temporarily store your bags in Berkeley, Bounce is here to help. Whether you’re a student who’s heading from the library to a date or a professional going from work to a show across the Bay, save time by skipping the trip home and drop off your things with a Bounce partner in Berkeley instead. 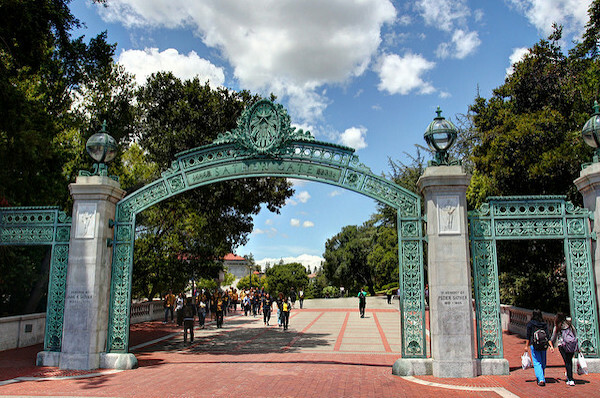 Are you touring the Berkeley campus or visiting friends in town? Don’t fret over logistics for accessing and storing your bags or luggage. Simply find a Bounce partner in the area for short-term luggage storage in Berkeley for a minimal daily rate. Bounce was created so that you can have the freedom to experience whichever city in which you live or to which you travel, without being inconvenienced by the burden of your bags. Storing your bags in Berkeley is simple, safe, and affordable with Bounce. Enjoy the wonders of Berkeley and the surrounding Bay Area with your hands and shoulders free.